As I wiped drying drops of blood off my brow, numbing knees briefly held me in place while the enigmatic figure unlocked his lamp-like eyes from mine to turn and point into the darkness. 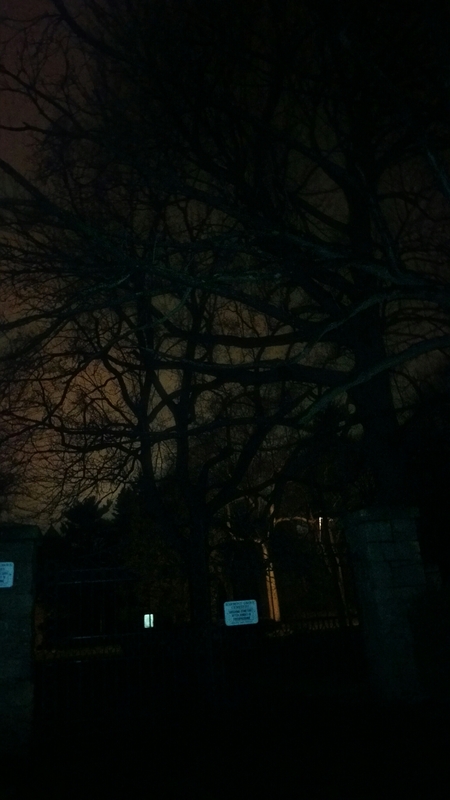 While choking on my pounding heart, which was throwing itself against my chest, the retreating silhouette dissolved into the nighttide revealing the incomprehensible sight of a cemetery entrance that simply didn’t exist. What was he trying to tell you? Was he dead? Where did the blood come from? How are your knees? Your questions are beyond fantastic. Thank You so much, I appreciate it. The story will continue. Thank You so very much. Your kind words truly elate me. Thank You so much. Thank You very much Wendy. I deeply appreciate it. I love all things creepy….this is great. You are really kind. Thank You so very much. Love these two sentences filled with so much imagery. I could hear your heart pounding. Great photo as well. Thank You so much Dr. Mary. I really appreciate your kind words. Always a pleasure. Word play seems to come easily to you. Thank You Paula. I appreciate it. Thank You for your kindness. I really appreciate it. This is sounding gruesome and so fascinating. Watch out or you may start having nightmares! I took photos of a foggy cemetery this weekend and plan to post them in the “lull” of January. I really appreciate your observations. Thank You so very much. Oh, what must have happened to bring about this visitation? Thank You very much Meredith. I honestly appreciate that mind boggling question.